This fall I had the privilege of studying Ezra and Daniel with two different groups of ladies. In God's timing on the same week, we read the prayers of repentance that both Ezra and Daniel prayed for their people the Israelites. One prayer was prayed in Jerusalem and the other in Babylon. One was after the exile and the other before. Both prayers were heard and answered. Both prayers were prayed in earnest and held nothing back. Both prayers were confessions and appealed to the mercy and goodness of God. But the one thing that stood out for me in both of the prayers was the word "we" and "our". In Daniel's prayer, I counted 16 "we"'s. They prayed not as one looking in from the outside but as one of the people of Israel. Ezra had not married a foreign wife but he prayed for mercy for him and his people realizing that no one is without sin. He took ownership of the sin around him. Daniel lived an upright life standing up to many kings and never compromising. He also prayed for forgiveness for him and his people. He saw visions of the future and longed for his people Israel to be right with God. We live in a world where we often view sin as an individual thing. He or she did it. He or she should take care of it. Is this really true? I know we are all accountable before God for what we have done or not done. I know we each have to pray that prayer ourselves. But what if my prayer could start a new beginning? What if my prayer of confession not only for me but for those around me started a stirring of God's spirit? 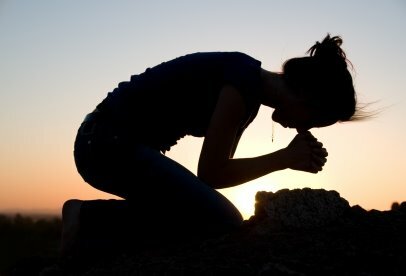 What if instead of being a pharisee and judging those around me, I get down on my knees and pray for the salvation of me and my people. What if I realize that those around me are the people God has for me whether I like it or not? What would happen then? What if I stopped pointing fingers and instead lifted up myself and others to the mercy of the God of heaven? What if? Dear God of the nations who holds all things in His hand. We praise you and lift up your name. From the words of the Bible we see your faithfulness to your people. We also see that you are a just God who punishes sin. In your mercy, You sent Jesus to provide a way out of the sin in our lives. Today, God, we pray for mercy and forgiveness. "God you have punished us less than our sins deserve. "(Ezra 9:13) We have focused more on the things around us than You. We have sought comfort in people and things instead of in the God of all comfort. We have become comfortable in our complacency and are self seeking. We fail to see the hurting around us. Our hearts are hard. Forgive us. "We do not make requests of you because we are righteous but because of your great mercy. O Lord, listen! O Lord, forgive! O Lord, hear and act!" (Daniel 9:18b,19a) Work in us and change our hearts. This Christmas season, prepare our hearts for your coming. May you be glorified in all things. We pray in the name of Jesus, Amen"
Great thoughts. Thanks for sharing your insights.